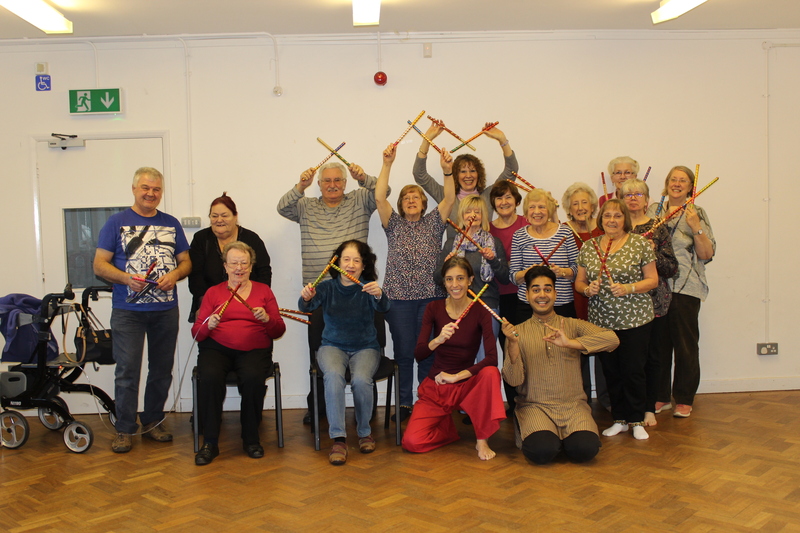 Our team member, Claire Farmer, caught up with Bharatanatyam artist Hiten Mistry to find out about his experience of using dance in hospital settings. Here is an excerpt from their conversation. 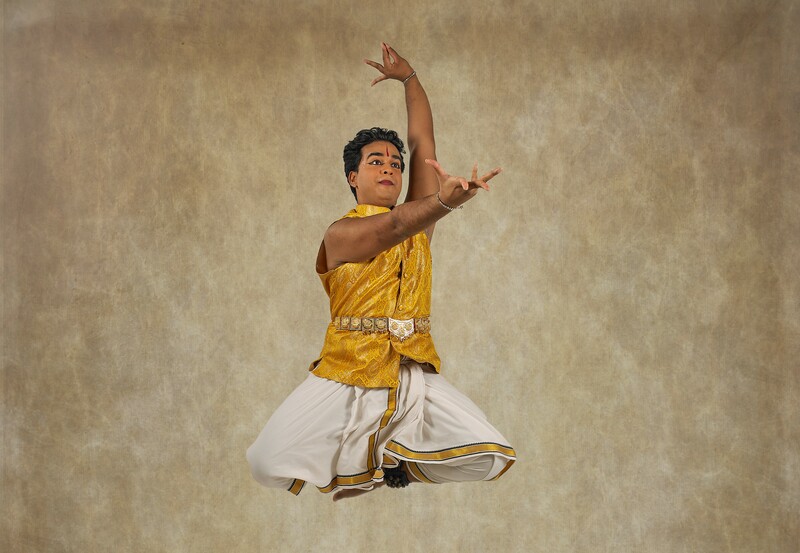 Hiten Mistry (H) (pictured above) is a Bharatanatyam dancer and associate artist for Akademi. He was Dance Well workshop Assistant at Harefield Hospital and performer at Chelsea and Westminster Hospital. .
Claire Farmer (C) is the Learning and Participation Manager at Akademi and has been leading on Dance Well project since its inception. C: What were your reasons for exploring the use of Bharatanatyam in a community/health setting? H: As a Bharatanatyam dancer it is my vested interest to work with my art form in a variety of innovative ways to demonstrate the range and depth that can be showcased through this incredibly rich art form. We have such a broad vocabulary to work with including rhythm, gestures, expressions, movements and storytelling to create so many different avenues of exploration, challenging exercises and workshop activities that can be endless in promoting health/wellbeing in dance in health settings. C: How did you develop your skills in this area? 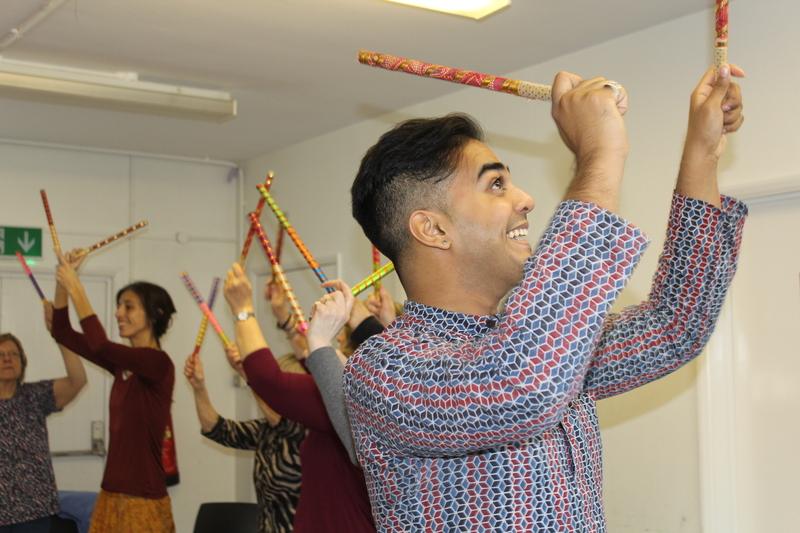 H: Thanks to the continued professional development provided by Akademi, taking part in Dance Well training events and regularly working at Chelsea and Westminster Hospital, I have been able to further develop my skills within health settings. Each experience has given me new insight, confidence and approaches in how to interact, develop activities and structure a participatory session aimed at patients with various health conditions and their families. C: Tell us about your experiences teaching and performing in community/health settings? H: All this began in 2015 when I started to perform at the Chelsea and Westminster Hospital in the atrium and interacting with patients on the wards. The joy and satisfaction of dancing for patients, families and hospital visitors was so fulfilling. Knowing I had made someone’s day by performing for them, giving them relief from their health worries even if just for a moment, was something very powerful to me. It gave a renewed sense of purpose for my dance. Since then, I have been continually working with Akademi. I was a Dance Well workshop assistant alongside Rachel Waterman for two 12-week terms at Harefield Hospital, working with cardiac and pulmonary patients and became an artist in residence at West Middlesex Hospital for 3 months. I have to thank Claire Farmer and Pia Zicchi at Akademi for all the opportunities they have given me which has resulted in my development in the area of dance for health. C: What are the next steps for you? Where do you see your career heading next? H: As I live and work in Leicester, all of these opportunities for working in dance for health with Akademi has led me to develop the same work here in my home city. I have been introducing dance into NHS hospitals across Leicester and have already worked with Bradgate Mental Health Unit and will also be working closely with the Arts and Heritage officer to curate and develop the Dance in Health programme for 2019/20. The response to my dance sessions, performances and workshops have been so positive and I am already in conversation about how we can develop this work further in the future. So, the future of my work in health settings is very promising, as the interest in this area is growing. I hope to continue with my work as I truly feel dance is such a powerful, healing medium.